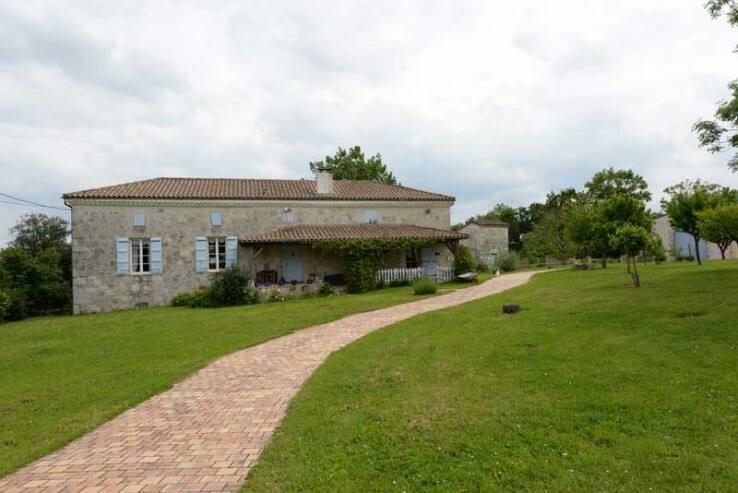 A typical Quercy stone farmhouse, set in over 2 acres of land and with 2 barns in the Lot et Garonne, south west France. 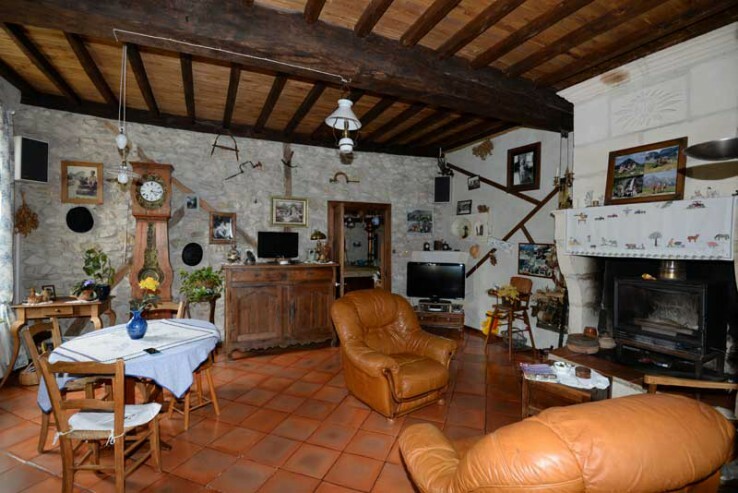 This typical Quercy stone farmhouse is set in over 2 acres of land and for sale with 2 barns in the Lot et Garonne department of south west France, with the market village of Beauville 5 mins. away, and Toulouse and Bergerac airports 70 mins. drive. 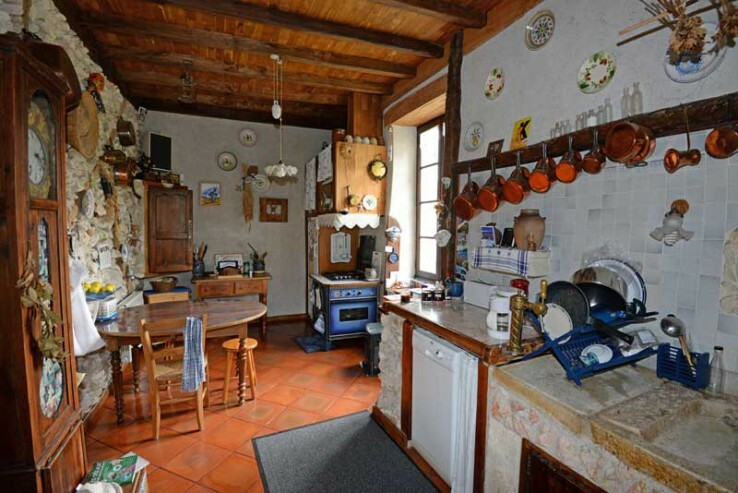 Full of rustic character this attractive home offers around 100 sqm of living accommodation and the added bonus of converting the smaller (100 sqm) barn into a guest cottage or letting gîte. 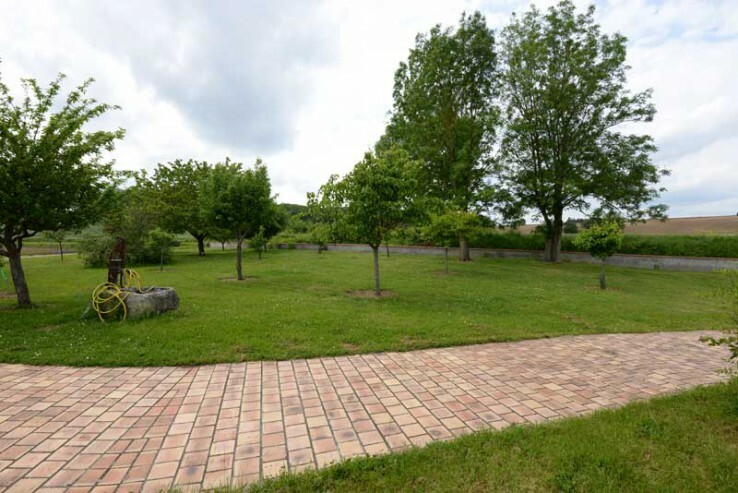 There's plenty of parking space in front of the large barn, pathway down to the house and porch entrance. Inside, the entrance hall leads to a beamed living room (25 sqm) with terracotta tiled floor and open fireplace with wood-burning stove. Views to the valley below. Rustic galley kitchen. 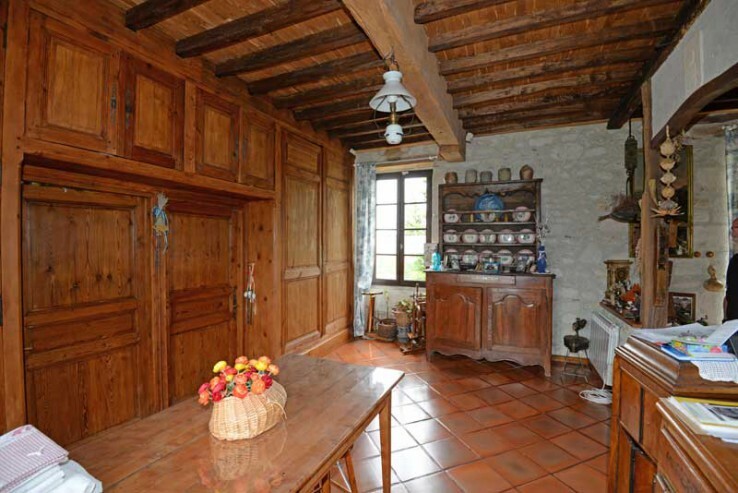 Separate dining room (20m2) with attractive wood panelling, terracotta tiled floor and beamed ceiling. 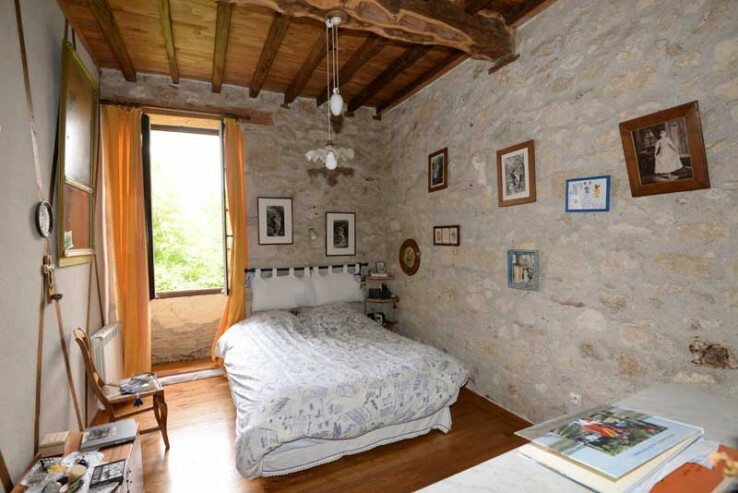 Double bedroom 1 with chestnut floor, beamed ceiling, exposed stone wall. 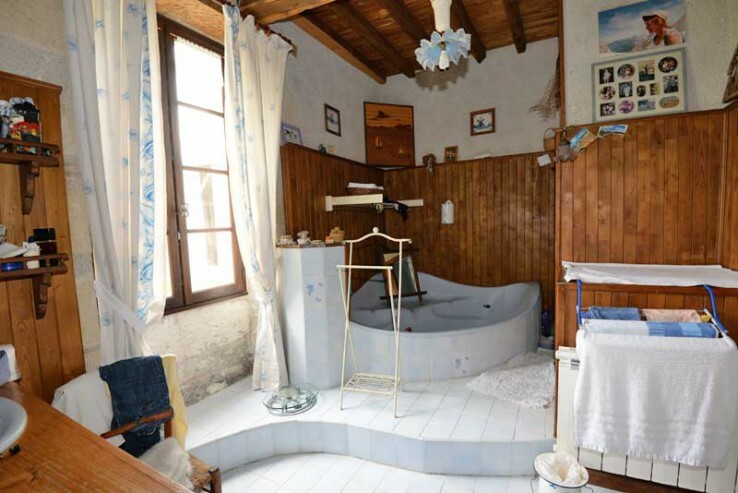 Large bathroom with corner bath. Upstairs are 3 further small double attic bedrooms, a WC and study. Outside, there is a long cellar under the house; to the side of the house is a pretty Pigeonnier and a well. 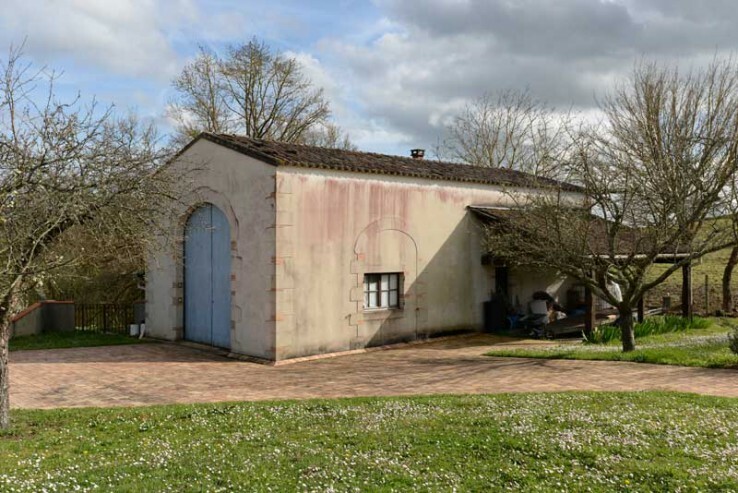 The barn built 20 years ago ( 14m x 7m ) has outline planning permission for conversion, and has a separate drive entrance. 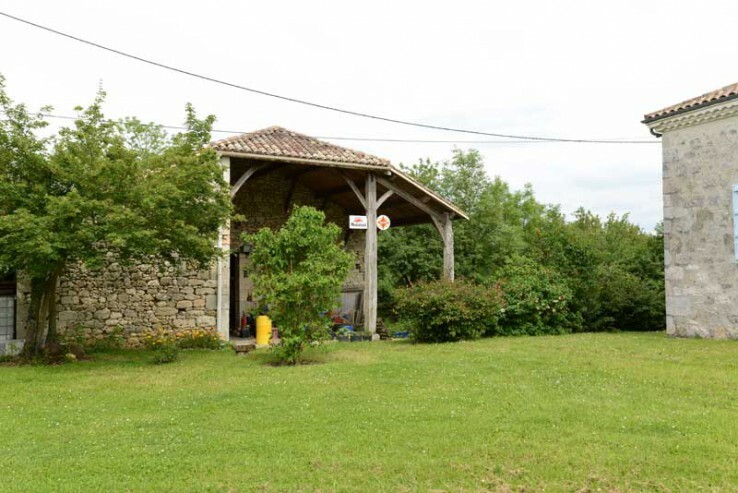 At the other side of the house a large stone barn of some 150 sqm, ideal for many uses. 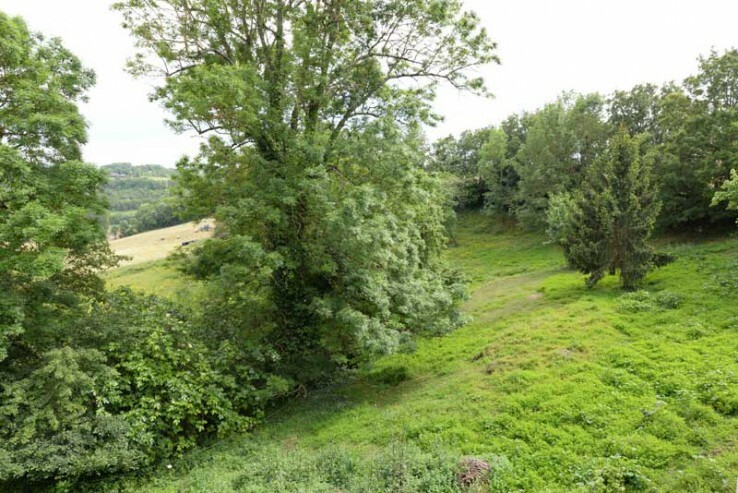 Half of the land is down to lawn and fruit trees, and then there is a pretty valley below the house, suitable for a horse or pony.